Cockatoos are affectionate. Cuddling and play are among your responsibilities. The highly intelligent cockatoo needs mental stimulation and attention from her owner. A bored bird will screech constantly, become depressed and pluck her feathers out. 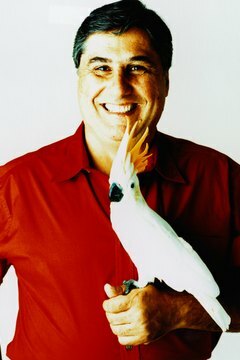 Prevent such behavior simply by playing with your cockatoo on a regular basis and teaching her tricks that she will be eager to perform. 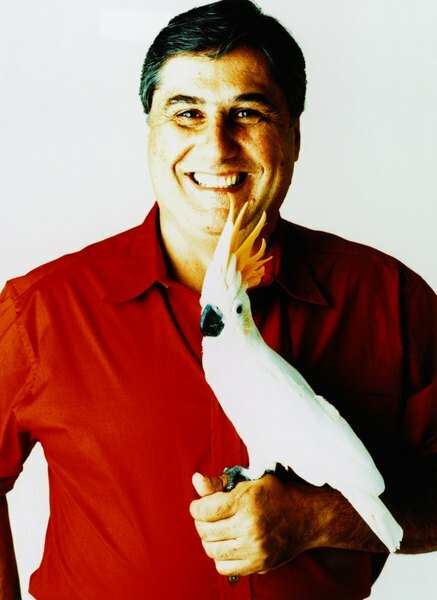 For starters, let your cockatoo know she is part of the family by placing her cage, or even a perch area, in a moderately active area of the home. She will enjoy seeing people come and go, and will come to enjoy the television or radio. Shutting her up in a quiet room should only be done at night, when it is time to go to sleep. Keeping her close by during the day, or when you are at home, will encourage you to interact with her. Show your cockatoo how to play with toys so she can entertain herself when you are not around. Ring a bell or jingle-ball toy to show her how she can make the sound. Scratch at a wood block or gently push her back and forth on a swing. Teach her to climb a ladder or rope with treats along the way, like nuts or fruits. Vary the type of toys and where you put them. Combine this training with trick training. You can teach a cockatoo to dance, give a high-five, walk along her perch, spin around, bop her head up and down and spread her wings -- on command or along with music. She may screech along to the music to show her excitement. It is important to give your cockatoo supervised time out of her cage each day. You can play fetch with small, soft objects and have her push around a ping pong ball. Teach her to play basketball by putting a small foam ball through a miniature net, available at pet supply stores. Show your cockatoo how to put the ball in the net multiple times and then give it to her to try. Remember to praise her both vocally and with a treat when starting out; over time you can reduce the amount of treats but always give verbal praise. Also, cockatoos enjoy puzzles, such as food-cache toys that require the birds to use their brains to figure out how to get to her food. Place a treat in one of three upside-down cups in front of her and slowly mix them around, giving her the treat only after she finds the correct cup in which it is hidden. You'll find foraging toys and food puzzles at pet supply stores. Reading to a cockatoo can be entertaining to the bird. Read from a children's book using dramatic body language, vocalization and facial expressions as you would when reading to a child. Allow your cockatoo to screech when she is out of her cage, as this is her way of communicating that she appreciates the attention. After reading or play time, set aside a few minutes to let her know she must quiet down before she goes back inside the cage. Minimize any noises from the television or radio, and keep your voice low. You can have her perch on your shoulder; however, if she screeches too loud by your ear, hold her on your arm close to your body until she becomes quiet. In addition to play time, this cuddling will help the cockatoo bond with you. BirdChannel.com: 9 Steps to Avoid "Unwanted Cockatoo Syndrome"
Are Cockatiels Easy to Train?